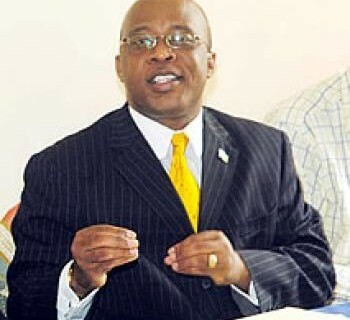 MMD Adopts Nevers Mumba for upcoming presidential by-election | Elias Munshya, LL.M, MBA, M.DIV. The Movement for Multiparty Democracy (MMD) has unanimously adopted MMD President Dr Nevers Sekwila Mumba as its candidate for the upcoming presidential by-election. After a lengthy meeting that started in the late afternoon on Sunday the 16th of November 2014 and ended almost at midnight, the MMD National Executive Committee (NEC) resolved that Dr Mumba was the duly elected MMD president and as such is the automatic candidate for any presidential election. The NEC had met to consider this matter among other items that included the MMD’s participation in the upcoming by-election, resource mobilization and the possibility of making alliances with other opposition political parties. The NEC has given a full mandate to the president to investigate possible election alliances and to consider what role former president Rupiah Banda would be best suited for in the run up to the by-election. The MMD constitution does not provide for another election during the time there is a sitting president, nor does it allow the NEC to overturn the decision of the MMD National Convention which was last held in May 2012 and saw Dr Mumba elected by 70% of the vote in the second round of an election that used the 50%+1 system. In other distrubing new, we heard that Bwezani Mwana Wanyoko Nyama Soya Rupiah Banda is back. Such a relief, a breath of fresh air and well done MMD.